They say that beauty comes from within, right? We all know how rubbish we look when we have been eating rubbish! This floral amethyst blend contains all of the berries and flowers and shrooms that support that healthy inner glow so you look like a million bucks. Maqui - Maqui berry is filled with antioxidants, which help to support healthy aging by fighting free radicals present in the body. Not only does maqui berry support healthy aging but supports healthy nourishment of the skin cells, providing a radiant and youthful appearance. Schisandra - Known as the five flavour berry, this amazing berry has a buncha amazing actions for the skin, I like to think of it as a triiple threat for beautiful skin. It is highly antioxidant so helps to protect the lipids in the skin from environmental damage, I'm talking pollution, UV damage and heat/cold. It also is a true adaptogen, if you have followed me , you know what these herbs are - they support balance in the body and have a particular benefit in helping you cope a wee bit better in the face of stress. And we all know how that stress can show on your dial! And last but of course not least, is the action that schisandra has on the liver. 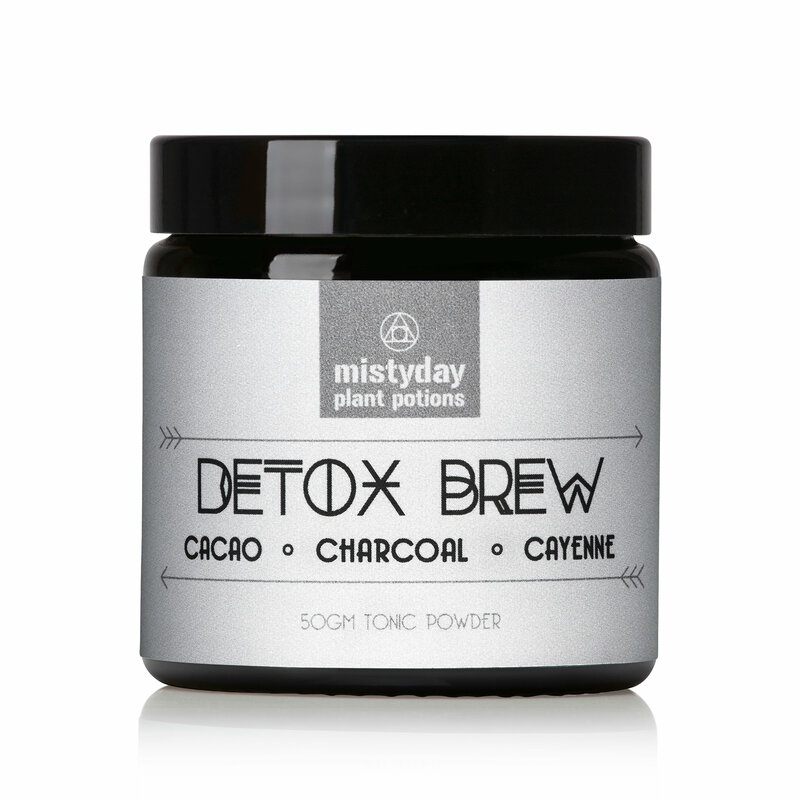 It supports detoxification through the liver thus helping to detoxify your system and also helping to balance hormones, which my PMS pimple can attest, is pretty vital for skin health! Tremella - Also known as Silver Ear mushroom, this shroom is the skin shroom. It contains a huge amount of moisture holding polysaccharides so its amazing for people with dry and therefore dull skin. In fact research shows that these polysaccharies have a stronger water holding capacity than hyaluronic acid. Butterfly Pea Flower - A Thai flower renowned for its support for a banging head of hair and pretty spanking strong nails. Goji - A nutritive tonic, jam packed full of minerals, vitamin C and carotenes for healthy skin. The ancient Chinese thought that this lovely little berry extended life .. look good and grow old gracefully! If you are pregnant, breastfeeding or have any medical conditions consult your healthcare practitioner before use.